No need to be #ballin to be travellin'. We have some tips to help you make that dream vacation a reality–at a fraction of the price. Read on and start making your travel plans now! One easy way to save on travel is to plan the trip yourself instead of signing up for travel packages. It’s going to require more time and effort on your part, but the upside is that you can fully customize your itinerary to your heart’s desires. You’ll also get to pick the most budget-friendly options when it comes to accommodations, activities, and meals. Travel planning is also a lot of fun in itself especially when you’re doing it with friends or your SO, and it’s going to up the anticipation and excitement as your vacation date gets nearer! 2. Skip the tourist traps and go local. When traveling, always keep this in mind: "When in Rome, do as the Romans do." Don’t confine yourself to the tourist attractions; instead explore the off-beaten tracks. Skip the commercial hotel chains and check in at hostels or bed and breakfasts. Eat where the locals eat; go around using local transportation; shop at home-grown markets and boutiques. Talk to the residents to find out where the best happenings are. Not only will you gain more savings–local is a whole lot cheaper than tourist-branded–but you’ll also have a more immersive and authentic experience. 3. Take advantage of tax refunds. Some countries like Singapore, Thailand, and Vietnam have services that reimburse the Value-Added Tax (VAT) or Goods and Services Tax (GST) that you paid for while shopping. Take note that tax refunds have certain regulations such as minimum amount spent and restrictions on types of products so make sure that you meet all the requirements before availing of this benefit. Also, take note that you’ll have to pay the corresponding tax once you get back home–but it will be a lot cheaper since you’ll be paying it in local currency. 4. Learn how to haggle. 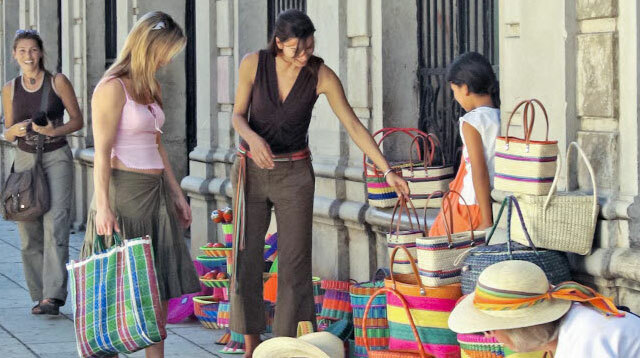 If there’s one skill that you must absolutely learn and master while traveling, it’s how to haggle. You’d be surprised how much cheaper you can get things if you just ask and negotiate. Besides, most of the rates and prices at tourist spots are inflated anyway, so bargaining can save you more money in the long run. Prices are almost always negotiable as long as you know how to haggle right. 5. Opt for night-time travel. Most people won’t think of scheduling their trips during the night-time but if you want to stretch your travel budget, it’s a no-brainer option. For one, airfares are much cheaper at night because it’s the off-peak hours and most promo fare flights are also scheduled during these times. You can also save money on accommodation because you’ll have one less night to pay for in a hotel. And since you’ll be on rest-mode on the way to your destination, you‘ll be energized and ready to explore the moment you touch down. For more ways on how can save money on travel, check out femalenetwork.com!